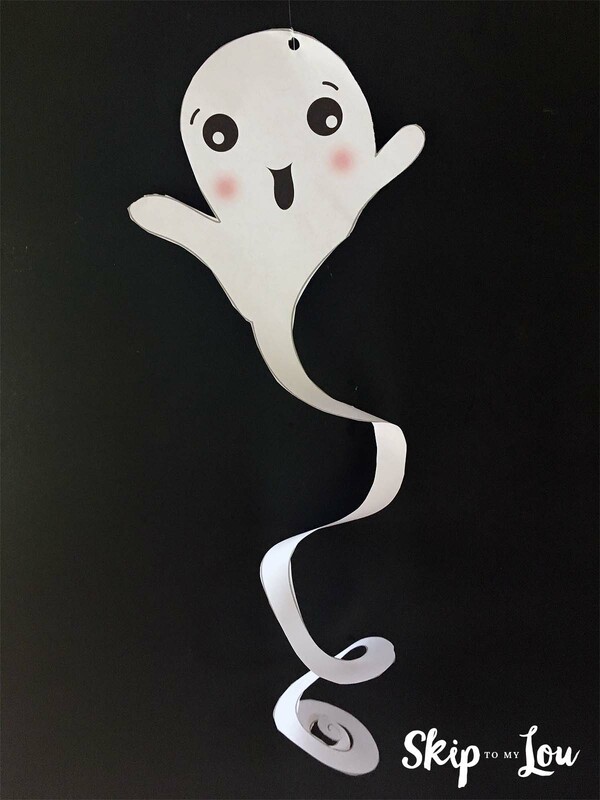 Make this darling paper ghost craft! It makes a perfect Halloween decoration. This is the ideal kids craft because kids can help make to decorate their own house. You can also help them practice using scissors. Simply hit print and let them cut the ghost out. For more Halloween ideas check out these hanging bats or make these witch finger cupcakes. We love to get ready for Halloween! So easy and simple and a great for little hands to practice cutting skills. 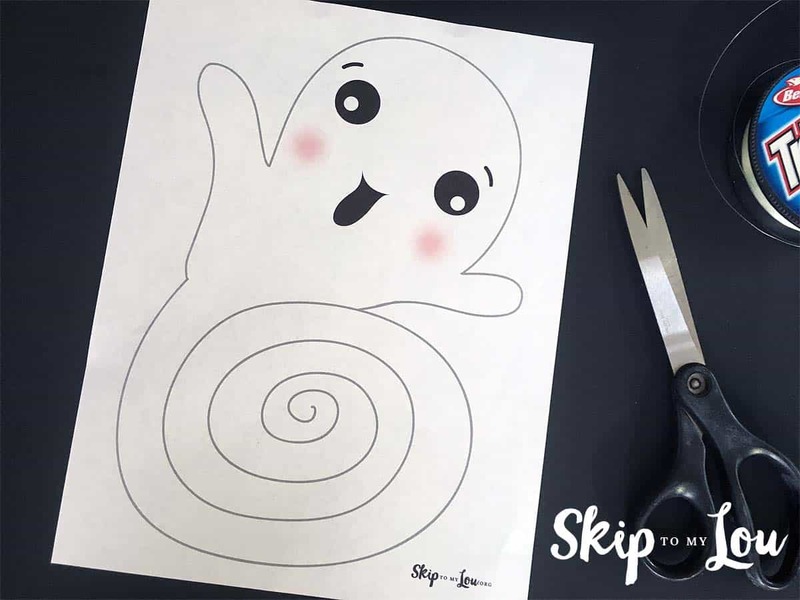 Download the free paper ghost craft printable. Print in color on white copy paper. 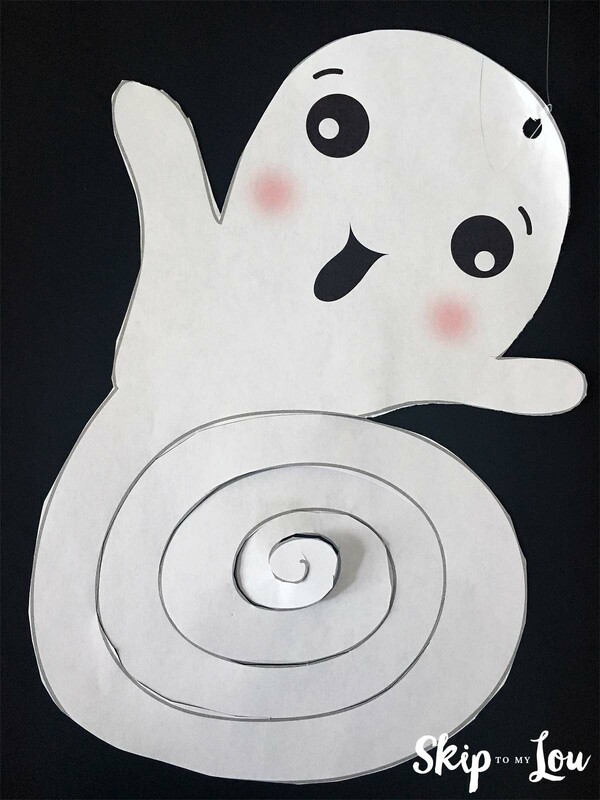 Cut out the ghost, punch a hole at the top and use clear thread or fishing line to hang.